Almost all of the cool tech at CES demands an Internet connection, and that can be a challenge for some of us. You may not get strong Wi-Fi reception in certain rooms in your house, for example, or your TV may have an Ethernet jack but it's too far away from your router. Wi3 is a company that hopes to address these sorts of issues with a system that uses your home’s existing coaxial cable to bring Ethernet ports and a wireless signal to hard-to-connect rooms. Wi3’s devices fit into the coaxial cable plate in your home, and jut out about three inches. The company claims that you can hook up to 16 Wi3 devices throughout you house and get 125 Mbps speed while they’re all pulling data. Wi3’s first product is out now; it includes only Ethernet connectivity, and costs $150. 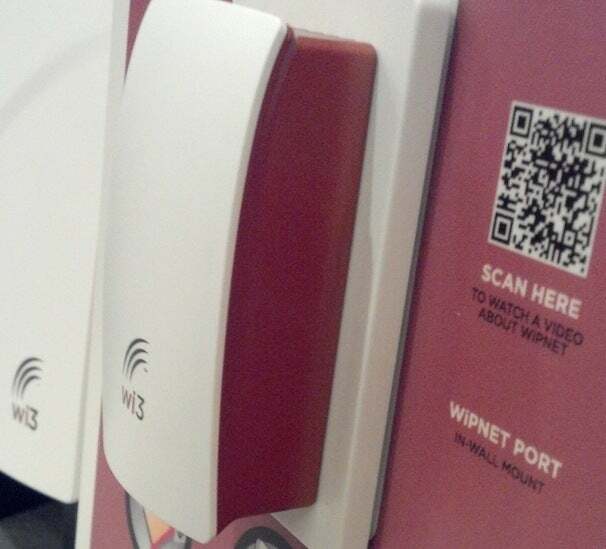 Wi3 devices with Ethernet and Wi-Fi will be available in Late March and cost about $200. But Wi3 isn't your only option for extended home networking: The company's real competition is Homeplug, a technology developed by the HomePlug Alliance that uses your home’s power lines to connect to your router and expand its range. Homeplug has been around for a while, and this week the group announced a new specification at CES called AV2, which it claims will make products running on Homeplug’s standards transfer data more quickly. This means that Homeplug-certified adapters will be built to serve up HD or 3D video more efficiently. And given the focus on "connected" TVs and home entertainment gear at this year's CES, Homeplug’s decision to “enhance” video delivery over home networks is not surprising. Many people looking for a powerline networking adapter will be doing so because they need to connect a TV in a hard-to-reach living room, after all. The group’s President, Rob Ranck, also said that in the future, Homeplug could allow for “smart” appliances in the home so that you or your power company can manage electricity consumption more efficiently. Whether it’s through powerline or coaxial cable, though, the home networking presenters at CES want to help you stay connected all the time.